NOK 400 was received this month, so November ends with a positive accumulated balance of NOK 994, or rougly USD 120. 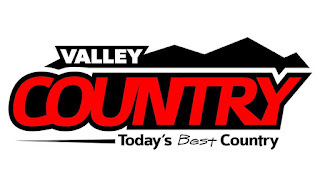 Another station spotted by OJS was the Spanish programming KVMX La Ranchera, excellent signal a few days ago with a full-hour call letter ID including their 104.7 FM in Sacramento. Very friendly response today. I was quite surprised to hear this Okinawa NHK-2 station on 1602. 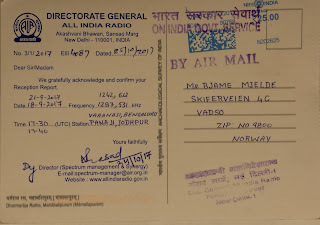 Most welcome QSL & friendly letter received today. 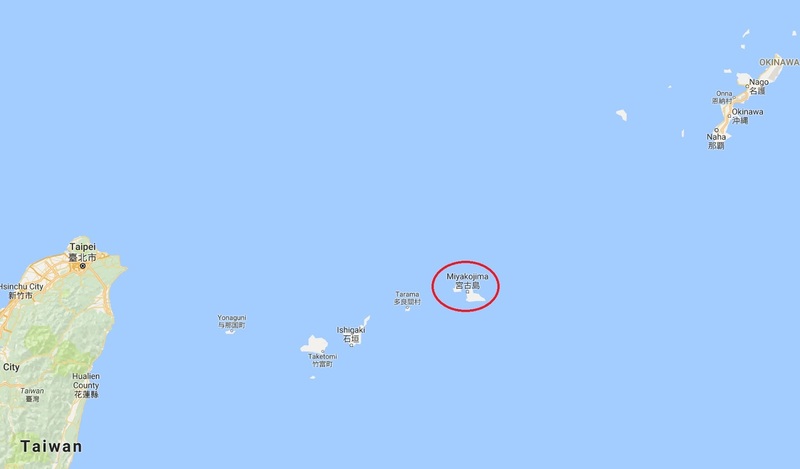 This relay is listed Miyakojima, actually closer to Taiwan than the main Okinawa island. 100 watts! Likely one of my best Japanese catches to date - if not the best. We have been hunting this station from the start of the season, but a combination of local noise and the Korean station have made reception impossible. Until now. Fair signal levels for a few minutes. A friendly email from the Program Director on GoldFM-990 confirmed the reception. Both of new AM stations from Fiji heard and confirmed this season! South Island stations surfaced well for half an hour or so on October 20, and I spent some time on 1593 where Coast NZ was fighting hard with the strong NHK-2 stations. I did get a commercial and a couple of music details for a tentative report, and received a confirmation late yesterday. The music log matched perfectly. Pays off to be a Linda Ronstadt fan! 2.5 kW travelled 16,380 km. After having used the ColibriNANO SDR a few months, it was time to revise the paper I wrote this summer. It's available here, or from the menu to the right. I've had this receiver for more than four months, but I needed some time to explore if it has potential for the MW DX-er. To read more, click the link on the right side, or here. This quite unusual Texan was heard in early October, email response this evening. Bulk reporting results in bulk QSL-ing - sort of. 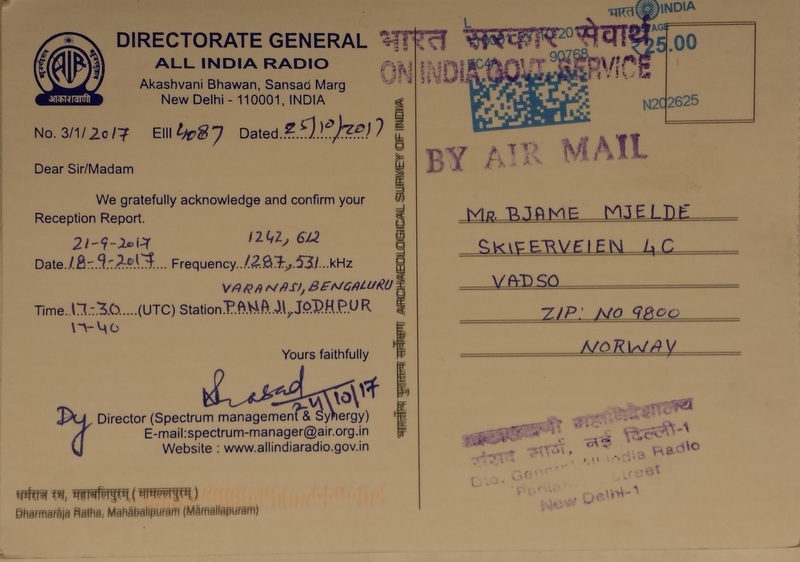 Four QSLs in one came in my mailbox today. Heard during very auroral conditions in September. CIVH Valley Country has been high on my wish list for years. Last weekend it was suddenly there with a short liner between two country songs. And now I'm probably going to hear it weekly! Friendly email confirmed my reception, thanks Hans for the email address. Vanderhoof is in British Columbia's northern interior, not far from Prince George. British Columbia #35, graveyard channel #275. 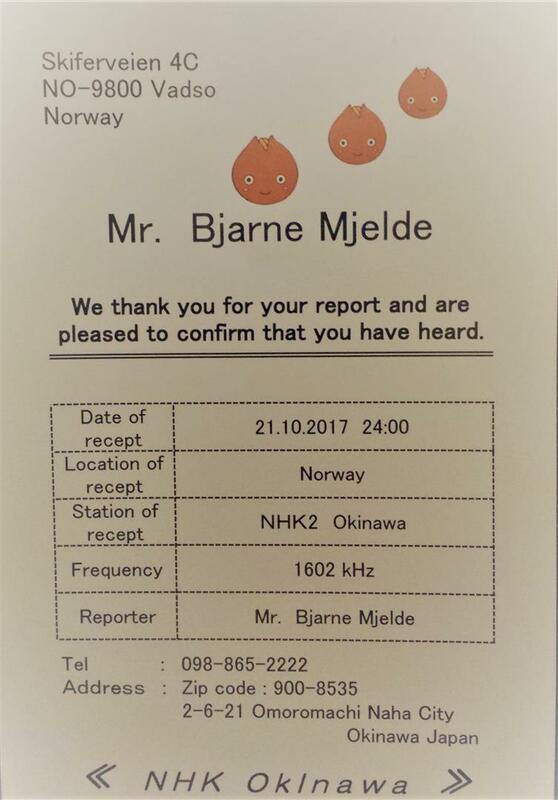 The 1-kW station surfaced from the jumble of what is effectively a Japanese "graveyard" frequency in early October. 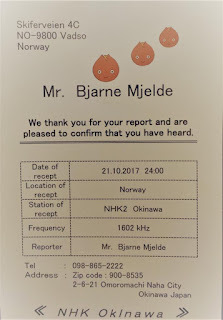 I received a QSL letter written in Japanese, with an English summary. My 6th verie from the Fukuoka prefecture. November 4 was a good day for DX-ing, and I was thrilled to hear KHIL dominating over CHSM with a great TOH ID. The owner was apparently delighted too, and confirmed my reception with a friendly email. I heard KENN during good conditions last weekend with a TOH announcement which went like "...reminding you to join me at 6 after Midnight on Coast to Coast AM, on 92.1 FM and 1390 AM, KENN Farmington". A friendly email exchange followed after the initial confirmation. The 2 kW from Poverty Bay was heard with fair signal levels in late October. Friendy email today. You can never hear too many Kiwi stations! KRDO surfaced with a weak signal during the weekend, but enough for an ID and a friendly email response yesterday. 1240 # 40. KXRO had a suberb signal the past weekend, and totally drowned usual west coast dominant CHMB Vancouver. Very swift response today. 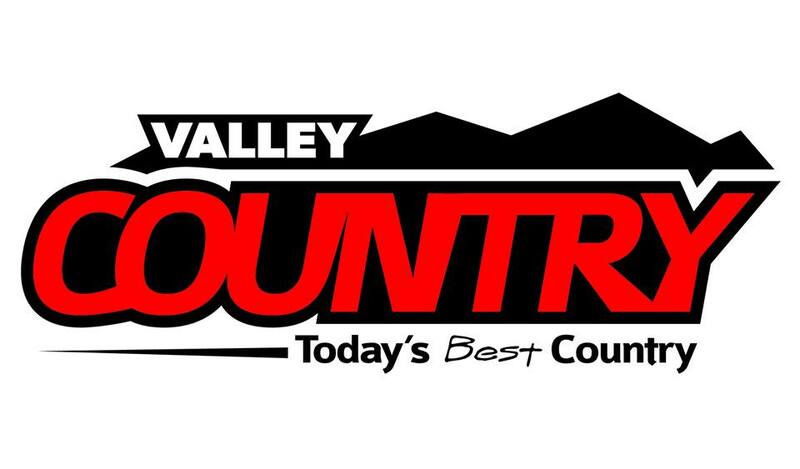 This Spanish Catholic station serving northern California with KCVV 1240 was heard in October with their full-hour ID. Email response this morning from the lady who voiced the announcement. 4ZR's 2 kW transmitter has sent a great signal the past few days, and on November 1 I caught a superb full-hour ID. A Facebook message received an almost instant response. At the same time, 4QD 1548 was literally blasting away. Amazing. Hunting Aussies on MW is so cool. This one is not often heard, but surfaced with a nice ID in September 2016. A report was sent in May, and an email response came today. We had a good opening towards Australia in the afternoon of October 31, and I was quite surprised to hear the Majestic Fanfare on 1062! 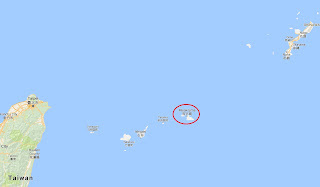 4TI has 2 kW and is Australia's northernmost MW station. Email confirmation this morning. Several interesting stations were heard at the time. A BBC World Service identification was heard on 1224 kHz, and it is likely 2RPH in Sydney.